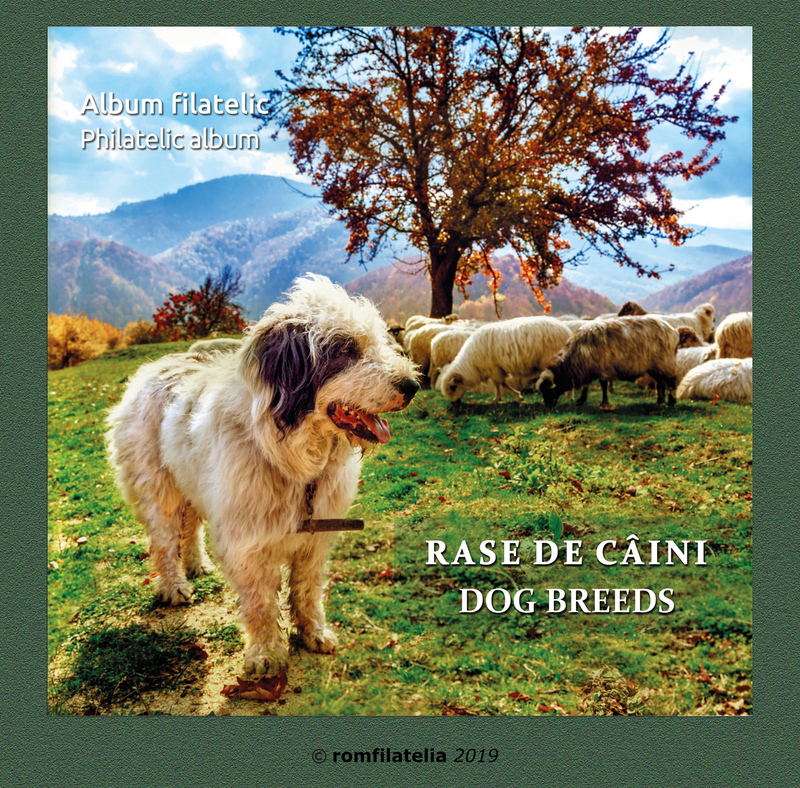 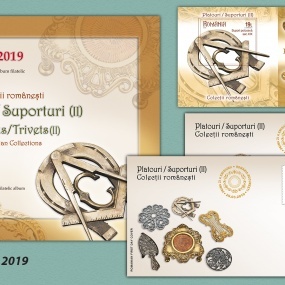 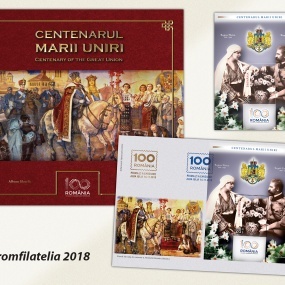 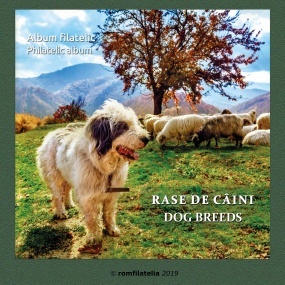 The philatelic album is created into a limited edition of 210 pcs. 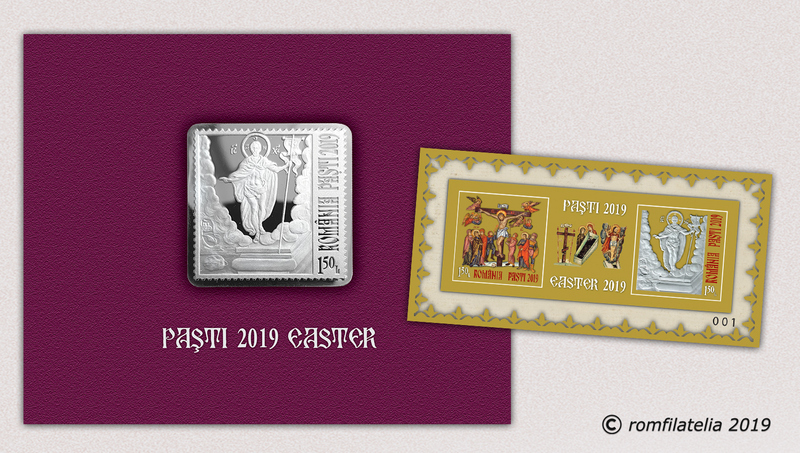 and is equipped with the imperforated souvenir sheet of the issue, having an illustrated attachment with texts in gold foiling, and the set of two First Day Covers with the “first day” postmark clearly imprinted in gold foiling. 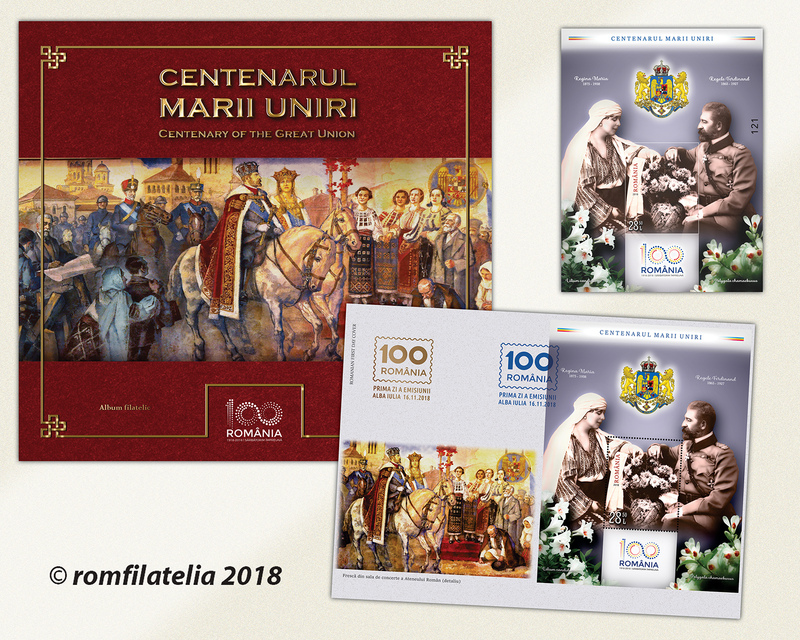 Each philatelic product included in this album is numbered from 001 to 210. 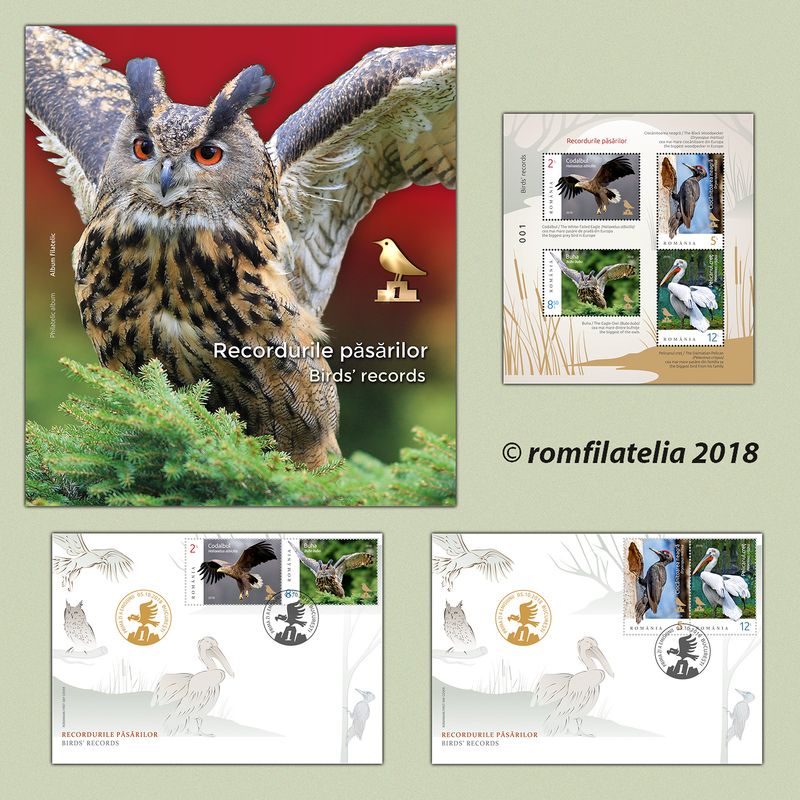 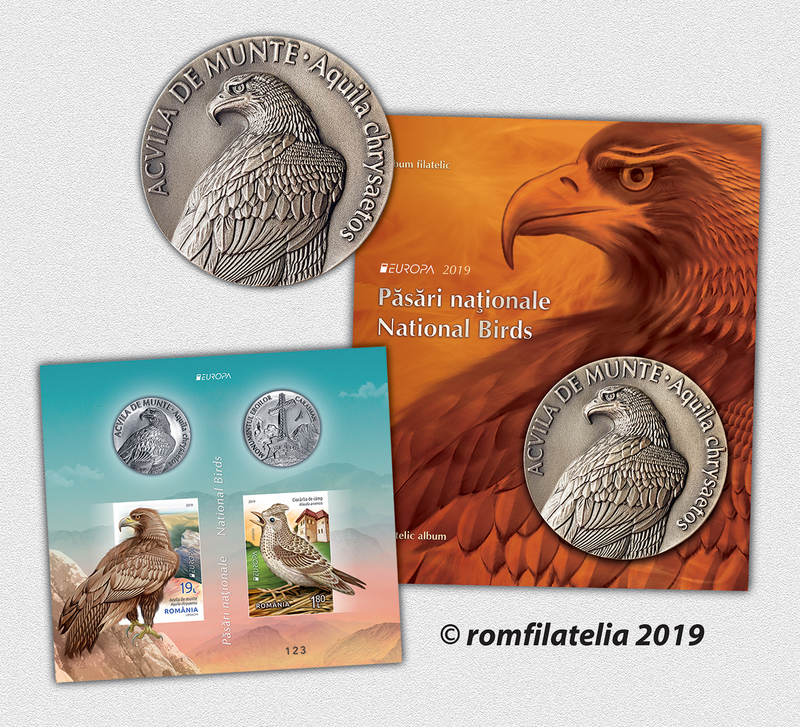 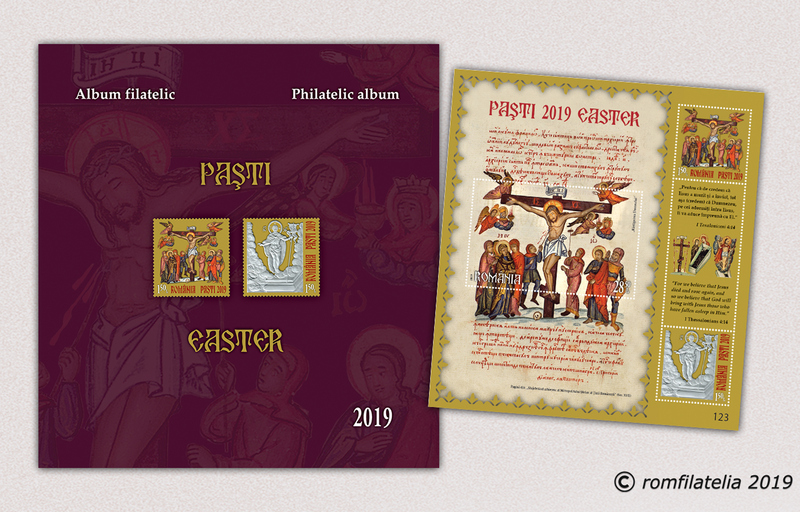 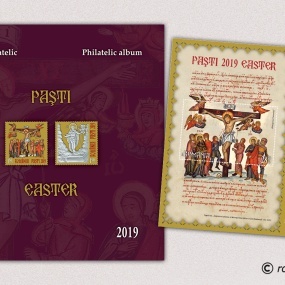 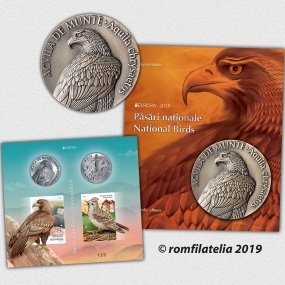 The philatelic album is created into a limited edition of 238 pieces and is equipped with the block of 4 postage stamps of the issue and the First Day Covers with “first day” postmark cleary imprinted with foiling, both products being numbered, from 001 to 238. 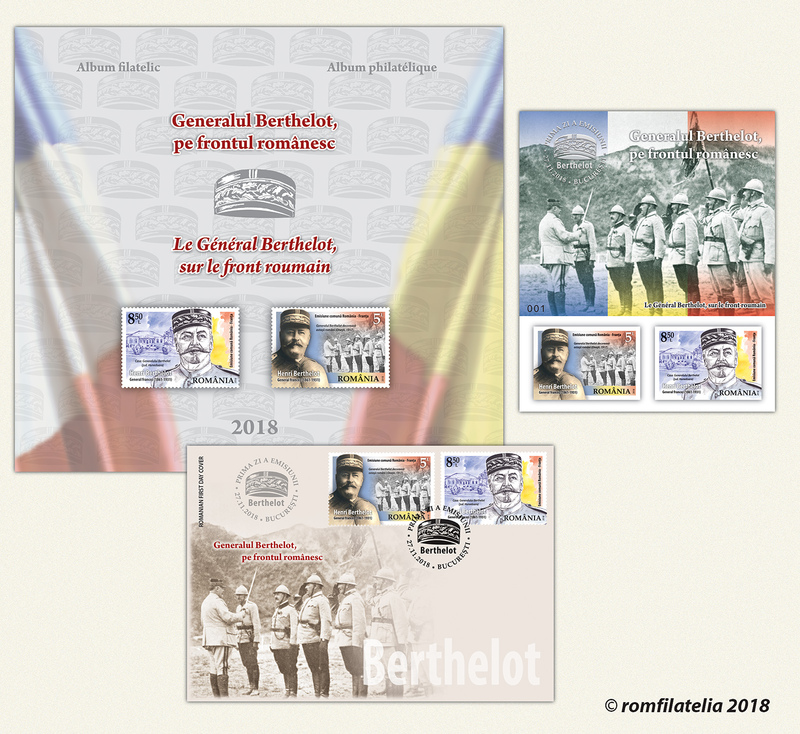 L’album philatélique est réalisé en édition limitée de 245 exemplaires et comporte un bloc spécial non perforé de 2 timbres-poste et une enveloppe « Premier Jour »; les deux produits portent l’oblitération postale « Premier Jour » et sont numérotés de 001 á 245. 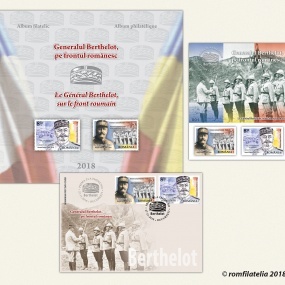 The philatelic album is created into a limited edition of 367 pieces and is equipped with the special block of the issue (containing two perforated stamps), with graphic elements in gold foiling and illustrated border, as well as the First Day Cover with “first day” postmark clearly imprinted, with gold foiling, both products being numbered from 001 to 367. 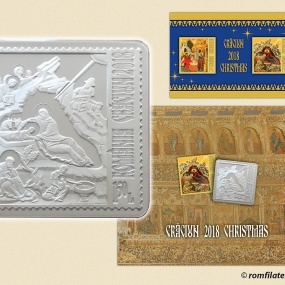 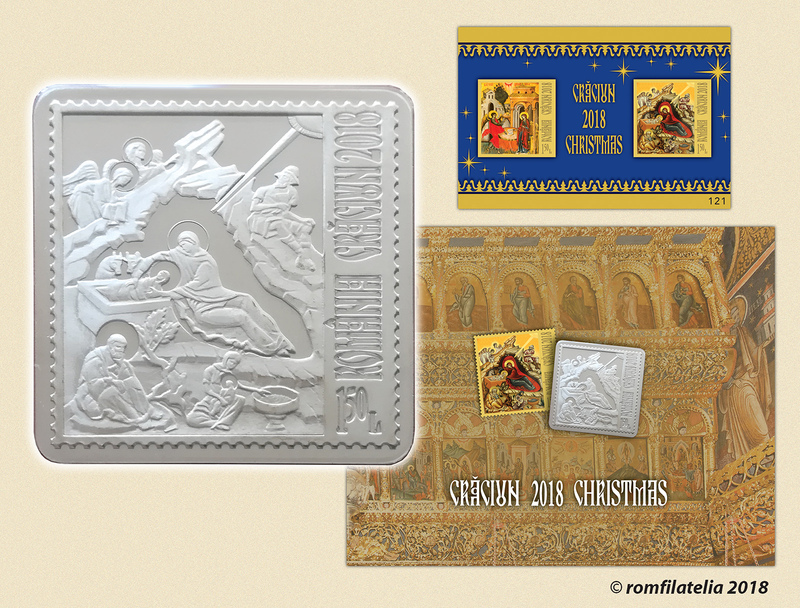 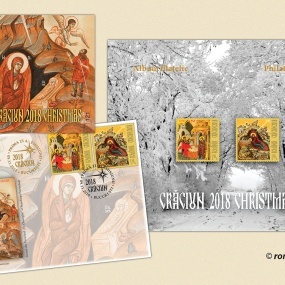 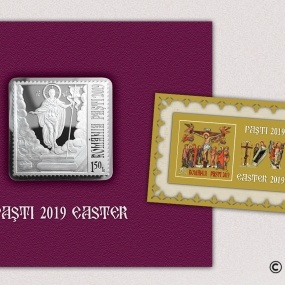 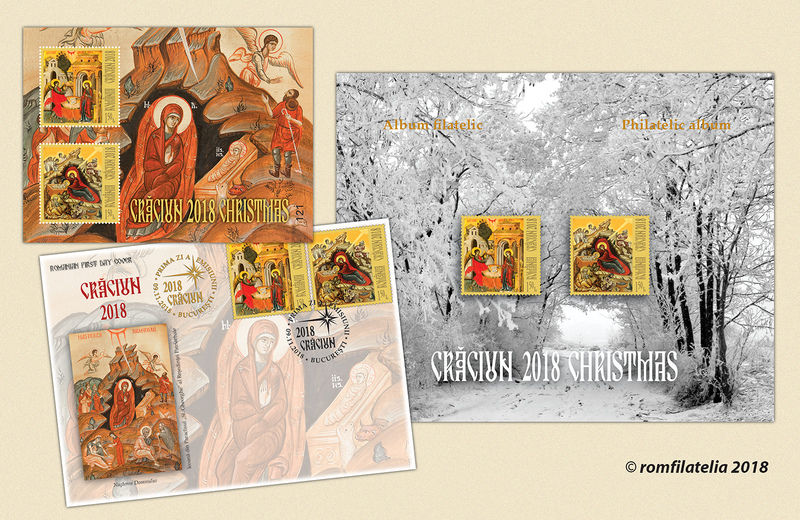 The special mini-album, with silver stamp, reunites in a original presentation the collectible philatelic block (containing two imperforated stamps) created in a limited run printing of 318 pieces and numbered, the replica molded in silver of the postage stamp depicting the icon Our Lord’s Birth and a Certificate of Authenticity issued by the State Mint, numbered (from 001 to 318). The philatelic album is created into a limited edition of 248 pieces and is equipped with the block of 4 postage stamps of the issue and the set of two First Day Covers with “first day” postmark cleary imprinted, with foiling, both products being numbered, from 001 to 248.